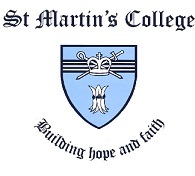 St Martin’s College motto is: “Building Hope and Faith” This expresses the College’s desire to enable the development of young people who will become leaders in their local churches and communities. St Martin’s College was established in 1992 through the vision of the Right Reverend Barry Hunter (Anglican Bishop of Riverina), Glenn Maytum (the first Chaplain to the College), and the generosity of Mr George Tassell whose bequest made possible the building of the first cottage and St Mary’s Chapel. Through the generosity of many benefactors has enabled the initial vision of 12 cottages, a community centre and chapel to come to fruition. Genuine financial need (applicant must complete financial hardship section of application form). Students must provide evidence of: sound academic record / community or regional involvement / career goals and aspirations. Scholarship value of $2,000.00 will be paid directly to St Martin's College off the cost of the recipients on campus accommodation. Any remaining balance for accommodation expenses is to be paid by the student. Scholarship is available to students who will be residing at St Martin's College for the full year (Sessions 1 & 2) of awarding.